Pte. 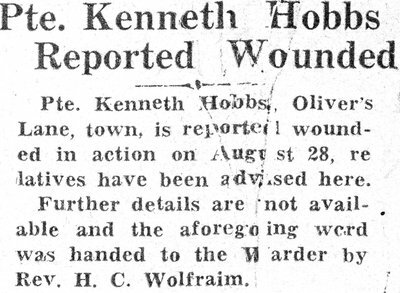 Kenneth Hobbs, Oliver’s Lane, town, is reported wounded in action on August 28, relatives have been advised here. Further details are not available, and the aforegoing word was handed to the Post by Rev. H.C. Woldraim.